The South Korean men's under-19 football team returned home from a regional competition on Tuesday, having clinched a spot at next year's FIFA U-20 World Cup. 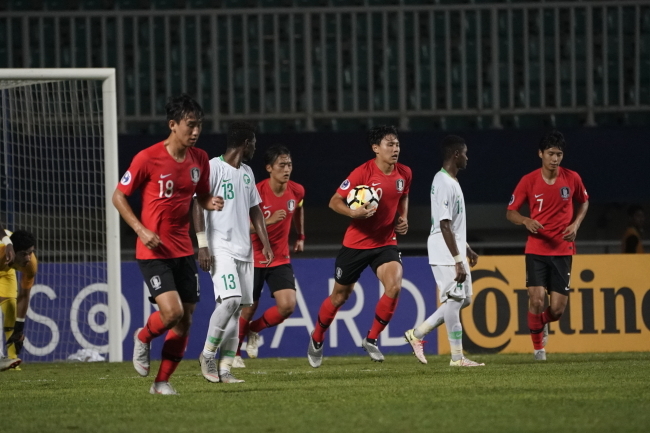 Coached by Chung Jung-yong, South Korea finished second to Saudi Arabia at the Asian Football Confederation U-19 Championship, which concluded in Indonesia on Sunday. Despite losing to Saudi Arabia 2-1 in the final, South Korea qualified for the 2019 FIFA U-20 World Cup in Poland. The top four nations from the AFC event were granted spots there.